Bruce Lee has a unique place among sporting legends. He is one of the only athletes known for the sharpness of both his body and his mind. 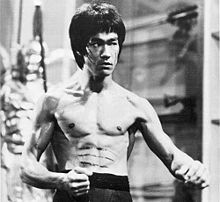 The martial arts icon made as much effort to train his mental state as he did his muscles, and his achievements are a testament to that. Lee was the first to admit that his attitude was more important than anything else when it came to achieving what he wanted to. His commitment to following wise philosophies helped him gain massive success in his life and career. This quotation is not just about being caught out for lying later down the line; it’s about the natural law of cause and effect. So often, people do what is good for them only in the short-term, without fully realising the negative effects that actions and behaviours can have later on. Everything we do will come back to either reward or haunt us. If we choose what we do with forethought and wisdom, we need not fear the future. Successful people are those who can be flexible in the face of adversity. Lee’s words here reflect the fact that surviving and thriving are mostly down to how flexible we can be, and how much we adapt to life, rather than expecting it to adapt to us – which it rarely does. Many people think that success comes from gaining more and more skills or spreading your nets wide. In reality, you are more likely to accomplish things if you focus and become more efficient. Get rid of the deadwood and what hinders you rather than doing more all the time. This approach also makes life simpler and less stressful to manage. 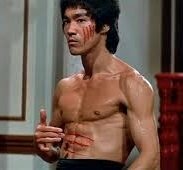 Bruce Lee was so successful because he was one of a kind. He read philosophy and studied martial arts, but eventually he used what he had learnt to develop his own unique system of fighting and thinking. Gain wisdom from others, but use your own personality to express it in the world and carve out your own path to be truly fulfilled. Would Bruce Lee have been a successful singer, computer programmer or banker? Possibly not. He realised that you must work with what you have and recognise your parameters. This doesn’t mean you can’t break through barriers and limits, but acceptance of where you’re starting from and your true nature will lead you to make wiser decisions about what steps you need to take to achieve things. Bruce Lee was a David among Goliaths. If you compare his size, weight and muscle mass to some of his opponents, he might well have looked an unlikely victor in many contests. But it was the skilful way in which he used his mind that helped him to be successful. A never-give-up attitude and positivity can find you ways to win in the most unlikely situations. This quotation may seem surprising coming from someone whose career involved punching other people. But Bruce Lee maintained that his fighting was a vehicle for his philosophy, and not the other way around. Lee always came across as quite a humble character despite his fame and achievements. I truly believe one of his greater aims was to teach and inspire people about discipline and attitude, more than to be known for his killer kicks. And yes, he was right. Living for others is one of the most meaningful and fulfilling things you can do. Bruce Lee understood that everyone has a unique path and their own goals, and that these can only be decided by the individual and not anyone else. Wise people don’t judge others and nor do they expect everyone to be the same or have the same strengths, weaknesses, ambitions, or limitations. If no-one compares themselves to anyone else or tries to meet anyone else’s expectations, no-one suffers. Bruce Lee knew how to push himself beyond the widely-accepted limits of human beings. The trick to doing this was maintaining a positive mind-set and believing in himself. The greatest limitations are imposed by the mind more than by the outside world. Think kindly, expansively and with ambition, and you can achieve great character and success. I love the truth and simplicity in this quotation. Time is one of the most important things we have. It is the very stuff of life. If you spend your time wisely, you will never have a wasted life. 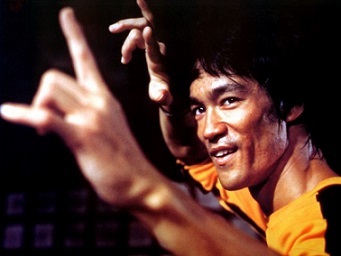 Some of these quotations can be found in works penned or co-authored by Bruce Lee himself, such as Tao of Jeet Kune Do, Striking Thoughts: Bruce Lee’s Wisdom for Daily Living and Wisdom for the Way – click on a book to view it on Amazon.